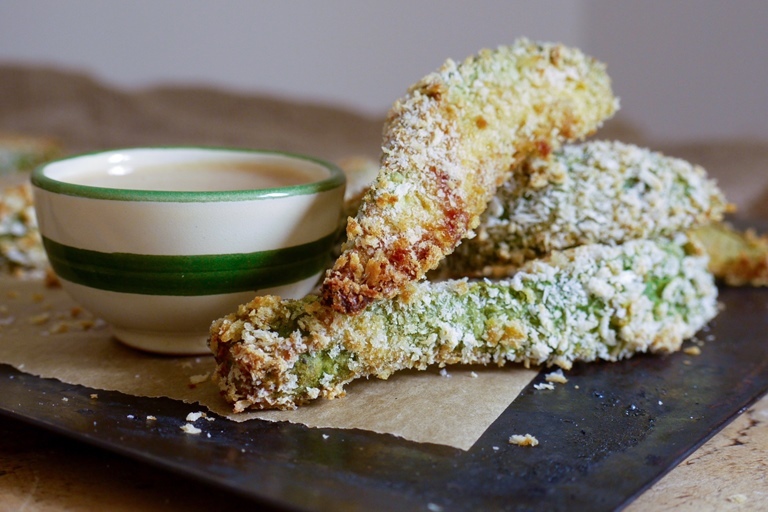 This delicious baked avocado fries recipe from Kate Doran proves that a healthier alternative need not be lacking in flavour. 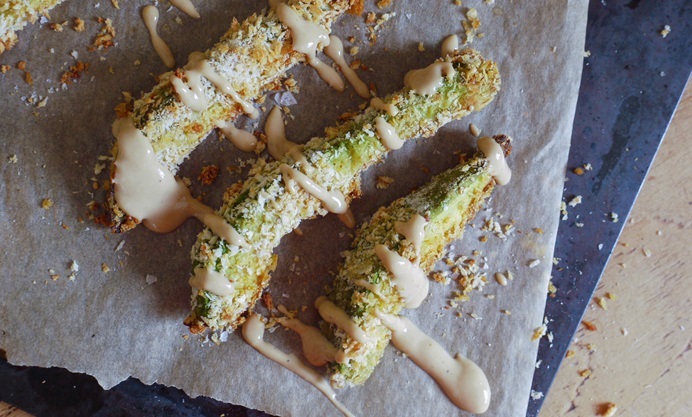 The creamy, warm avocado fries are coated in crispy Panko breadcrumbs, and served with a luxurious tahini and miso sauce for a side dish with a difference. If you’ve never eaten a crisp crumbed avocado slice, you haven’t really lived. Crunchy on the outside and creamy in the middle, these alternative ‘fries’ are oven baked and full of healthy fats, making them the ultimate feel-good food. Panko breadcrumbs lend lightness to this dish, allowing the flavour and texture of the avocado to shine. Here I’ve paired the slices with a rich, slightly sweet tahini miso sauce but you could also try mayonnaise stirred through with a little wasabi or a simple slug of hot sauce.